For years I’ve been reading to 3rd & 4th grade students at the Marlboro Elementary School, my amazing local public school. It’s a tiny school that currently serves around 100 pre-kindergarten – 8th grade children (4 – 13 years old). What went well during recess? As I listen, it’s clear that kids feel comfortable talking about how they worked together. They build forts, play games, and do all the things kids have done for years when they play in the wooded grounds of our rural school. They don’t talk in generalities. Rather, they name specific classmates and thank them for collaboration, support, and the fun they created together. These simple public appreciations create a palpable social awareness in the group. You can see relationships strengthen as one child acknowledges another. The children’s interactions are shaped by largely invisible norms of behavior that the teacher expertly introduces during the first few weeks of school. It’s not all sweetness and light. Inevitably some conflicts come up too. So the teacher sometimes lets the kids delve into what happened, and sometimes reserves discussion for a private chat later in the day. What strikes me is how easy this is to do and how powerful the results. Group sharing like this was absent during my school years. Instead, our teachers encouraged us to compete with each other academically. They never asked us to talk about positive things our classmates had done. Surprisingly, asking what is currently being done well is the first crucial step of Appreciative Inquiry(AI): a powerful process for exploring productive organizational change. AI starts with a focus on what works in an organization, not what needs fixing. Stories also play an important role. Want to learn more about AI? For a quick introduction, I recommend The Thin Book of Appreciative Inquiry. Or go here for a comprehensive set of resources and tools. Who would have thought it? 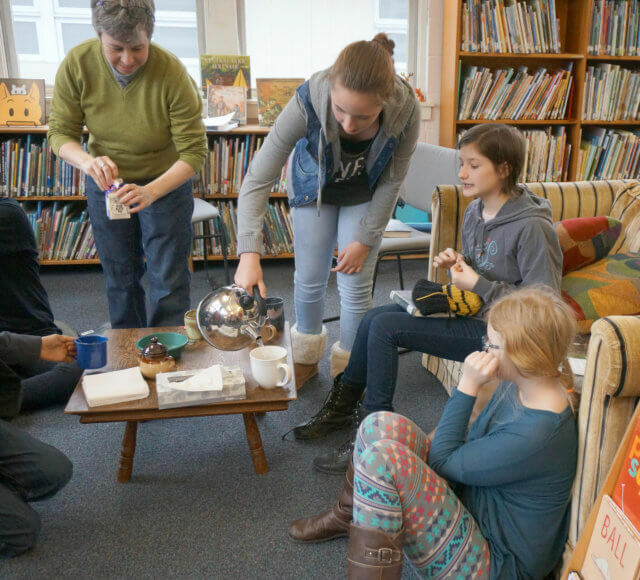 Today’s schoolrooms can teach adults the power of positive sharing! Have you used Appreciative Inquiry at your organization? Share your experience below. This entry was posted on Monday, November 26th, 2018 at 6:28 am	and is filed under Learning. You can follow any responses to this entry through the RSS 2.0 feed.You can leave a response, or trackback from your own site.